Many entrepreneurs, inventors, and economists complain about the Patent System and intellectual property rights. However, when you examine their complaints they are often concerned about how the patent system is implemented as opposed to the concept of property rights for inventions – patents. For instance, an extremely successful entrepreneur and angel investor I know complained that patents increase the uncertainty when investing in a start-up company. Because of the long time that it takes patents to issue, he protested that it is difficult to know when a patent might suddenly issue, affecting the business plan of a start-up in which he has invested. Other common complaints include that the patent system is expensive, time consuming, and difficulties in determining the boundaries of a patent. Some people go so far as to suggest that this shows that patents are not a true property right. After all, they reason, it is easy to determine the boundaries of real property and obtaining title to real property (land) is a straight forward process. Here, the complainers show that their ignorance of history. Before title insurance buyers of real property paid an attorney a lot of money to determine if they would receive “good title” to land if they bought it from the seller. This title opinion did not come with a guarantee and it was not cheap. In addition, you would have to pay a surveyor to determine the boundaries of your real property. The survey process was expensive and fraught with problems until the advent of modern technology, such as GPS. Our ancestors fought each other tooth and nail over the boundaries to their land. In fact, court battles over land are a great way to trace your ancestry, because these battles were so common. While the critics are wrong in their comparison between real property and patents, they are correct that we need systems that reduce the cost and uncertainty of determining the boundaries of patents (inventions) and whether the owner has good title (102, 103 issues). In short, we need the equivalent of title insurance for patents. I believe that standards committees (e.g., IEEE 802.11 WiFi) are acting like title insurance companies. They determine which patents are essential to practice the invention. In effect, they determine the boundaries of patents with respect to the standard and to some extent determine if these patents have good title to an invention. I also believe that NPEs (Non-Practicing Entities) also act like title insurance companies. Of course, many of the critics of the patent system do not like NPEs either. I, too, agree that the patent system takes too long to issue patents. However, the problem is not with the concept of a patent system but with a government that has failed to fully fund the Patent Office. In the last two decades, about billion dollars in user fees have been diverted from the Patent Office to Congressional pet projects. In the US, the Patent Office has always been funded by user fees, which are the fees that inventors pay to the Patent Office when they file for a patent. However, when an inventor writes a check to the Patent Office the money is deposited directly to the general treasury account of the federal government. Congress then appropriates these fees back to the Patent Office. When Congress diverts (steals) a billion dollars of user fees from the Patent Office, it is not surprising that the Patent Office will take longer to determine issues of patentability, increasing uncertainty for start-ups. If Congress was subject to Sarbanes Oxley, they would all be thrown in jail for this diversion of fees. 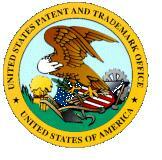 In my opinion, the patent process has also become too formalistic and complicated. These complaints that I have cataloged here are not about patents per se, but with the implementation of the patent system. I agree that the present patent system is overly cumbersome, too formalistic, too expensive, and takes too long. As an aside, I will point out that the critics of patents (IP) complain about their complexity but raise just a peep about a tax system that is over 10,000 pages and a new securities law that is over 1400 pages. There appears to be a disconnect in their thinking. Some of the solutions to the problems with our patent system will occur if the free market is allowed to create solutions like title insurance for patents. Fully funding the Patent Office will solve many of the other problems, such as the lengthy pendency times. Patents are completely consistent with Locke’s formulation of property. Patents like real property rights are fundamental to economic progress and human rights.